Available in six ready-mixed colors designed to accentuate wood’s natural beauty, Storm System Toned Oil Finishes combine penetrating exotic oils and transoxide pigments for unequaled product performance. 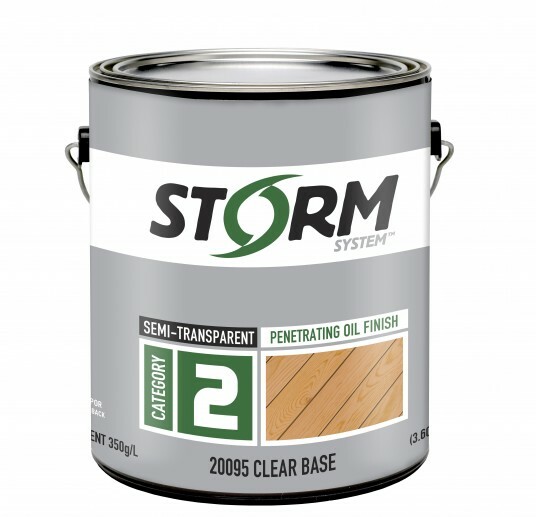 Storm System’s unique formula provides a translucent coating that protects against the weather, UV rays and mildew. It greatly enhances the coloration of hardwoods such as ipe, redwood, ironwood and mahogany. Toned Oil Finish also makes a great finish on cedar, pine, and fir when a more natural appearance is desired. 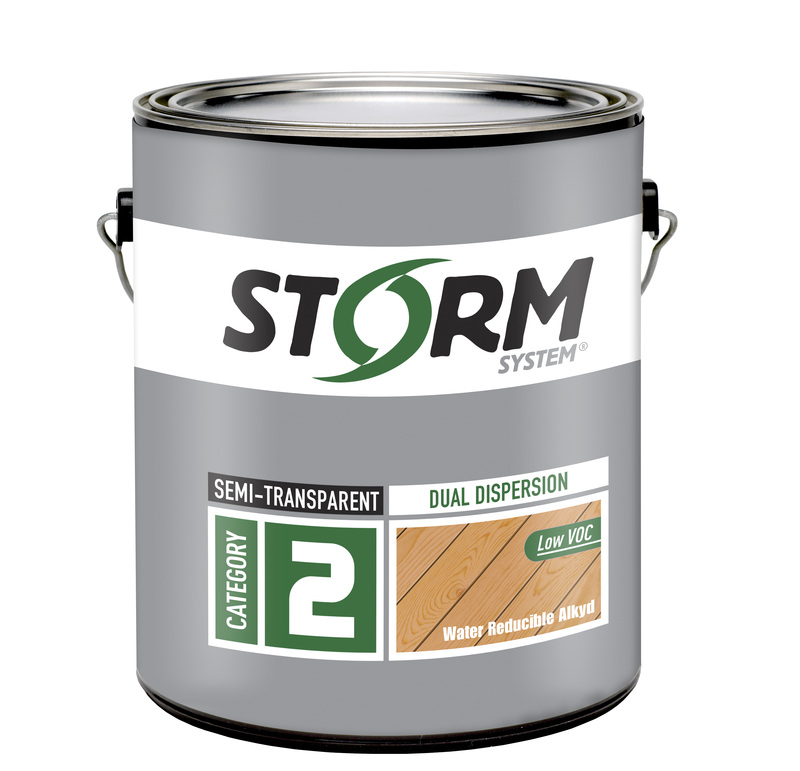 Available in six premixed colors, Storm System’s low VOC Dual Dispersion one-coat technology provides the best features of traditional oil based paints and latex paints. We designed this Dual Dispersion Toned finish for wood, in order to accentuate your surface’s natural beauty. It has the excellent flow, leveling and durability of oil-based paint with and fast dry time and soap and water clean-up of latex paint. Trans-Oxide pigments give a longer life and deeper (richer) look than competing semi transparent products. Dual Dispersion Toned Finishes will resist cracking, peeling, blistering, and moisture. State of the art low VOC Dual Dispersion one-coat technology provide the best features of traditional oil based paints and latex paints. We formulated Dual Dispersion Semi-Transparent Clear Base for wood surfaces. As a finish it has the excellent flow, leveling and durability of oil based paint with the fast dry time and soap and water clean-up of latex paint. Dual Dispersion Semi-Transparent Clear Base resists cracking, peeling blistering and moisture.